Eight million tons, or 42,105 blue whales…that is the amount of plastic littering our oceans right now. 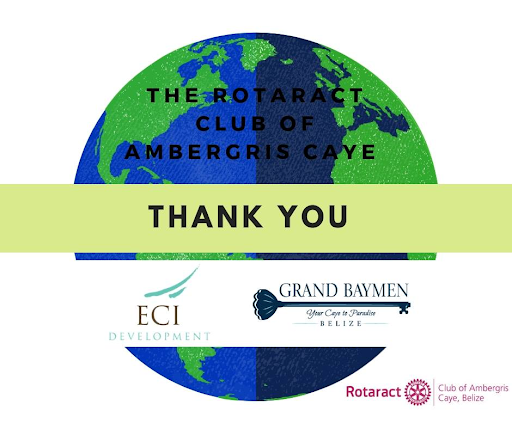 Over the past several months, members of Rotaract Ambergris Caye have been putting together a community-wide project about the pitfalls and negative effects of plastic pollution in our community. The goal was to reach the action-takers of the community and to educate them about how we are currently being affected. And more importantly, how to implement strategic methods to clean up our past mistakes and ensure a cleaner, more sustainable future. The Rotaract vision for accomplishing this was to visit the schools to reach and share this information with the 10-13-year-olds in the community. In addition, Rotaract panned to donate trash bins to the schools to reinforce the importance of properly disposing of trash. 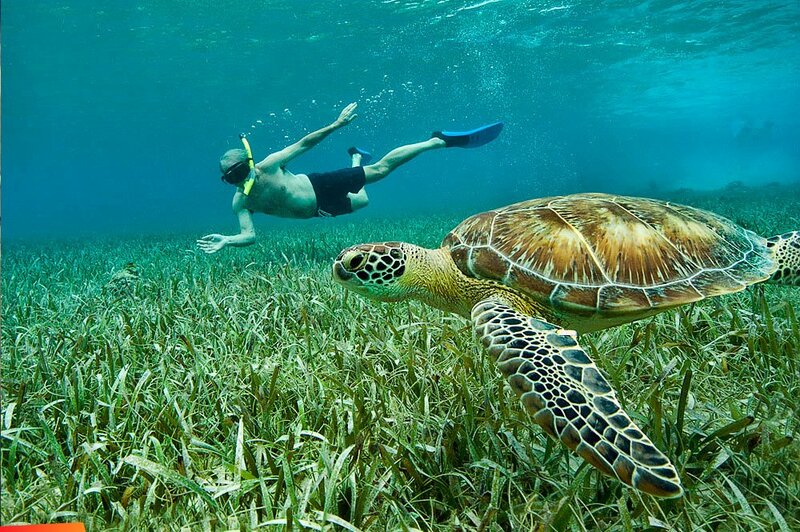 With Ambergris Caye paralleling the largest living reef in the world, the Meso-American Reef (MAR), it made sense for Rotaract to establish a partnership with MarAlliance. Together, they put together an incredibly powerful presentation to be presented at the different schools. 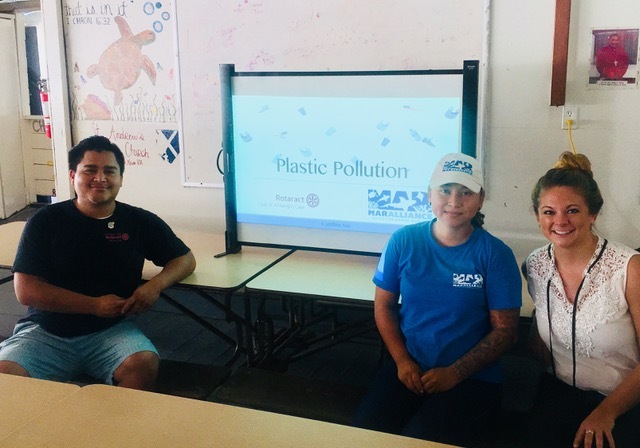 As Rotaract and Mar Alliance began the two-week campaign to visit the schools, I was fortunate to tag along to the coalition’s first school presentation on Plastic Pollution. After arriving at Holy Cross Anglican School, we were met with a group of 124 students, grades 4th to 6th. Cynthia Xiu from MarAlliance gave a very informative talk, actively engaging the students to really think about how they are being affected. Mar Alliance' Cynthia Xiu giving a presentation at Holy Cross. 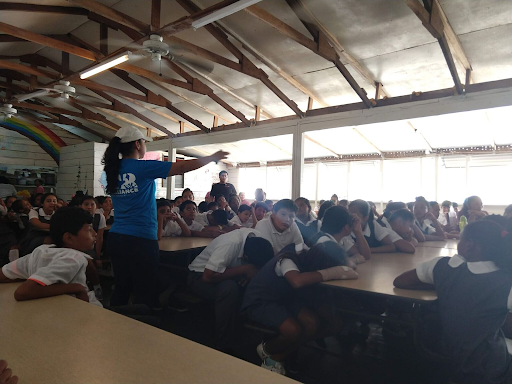 Living in San Pedro, the students are aware of the amount of trash that litter the streets, but being able to connect the effect it has on jobs (tourism), the environment, and their livelihood is critical for change. Keeping the streets clean is important for appearance, but more than that, it is important so the trash doesn’t blow away and contaminate the ocean. I grew up on the notion that littering was bad, but this presentation had me in awe of the statistics – it really reinforced my commitment to the 6 Rs: Refuse, Reduce, Reuse, Repair, Recycle, & Rethink (through education). It is exciting to see such progress being made on the island. Job Mendezibal (Rotaract President), Cythnia Ciu (MarAlliance) and Rachel Jensen. 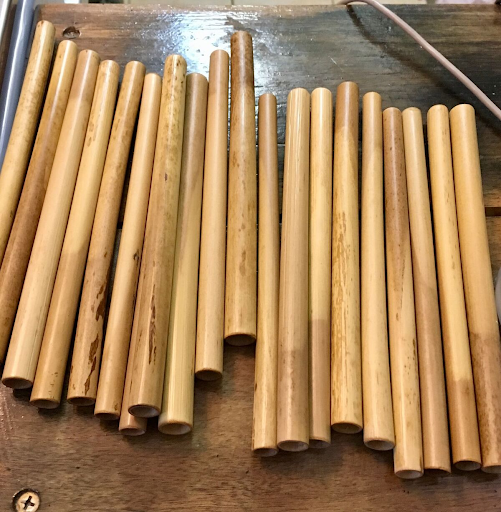 To engage students to practice what they learned (in addition to using the new trash bins), reusable, bamboo straws were donated by Rachel Jensen (Rotaract Director of Professional Development/ECI’s VP of Sales and Marketing) as prizes for five students at each presentation during the 2-week campaign. They received the straws for answering the recap questions correctly. Sara Lenart is from Loveland, Colorado. After completing her degree in Business Administration, she worked in the construction industry for a few years before following her dream of joining the Peace Corps. Unfortunately, her service in the Peace Corps was cut short due to political unrest. Her desire to live abroad and promote sustainable service led her to join the team at ECI Development as the Corporate Social Responsibility Intern.